Grow best with at least 4 hours of direct sunlight, but should have bright light all day. Plant in mix of potting soil, peat moss, and sand with bone meal added. Good drainage essential. Keep the soil evenly moist when growing. 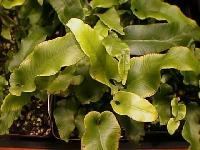 A tropical, epiphytic fern that, in nature colonizes in trees or on rock faces.Requires warmth, high humidity, moderate light and rich, well draining soil.Light green fronds slowly grow to 1to 3 feet. 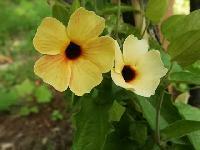 The Black Eyed Susan Vine is an evergreen, twining vine, most often grown as a long blooming annual. Black Eyed Susan Vines have dark green, arrowhead shaped, 3inch leaves. 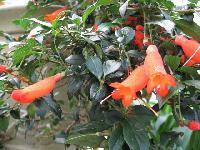 They produce a profusion of brightly colored, 1 and halfinch bell shaped flowers from early summer, well into the fall. 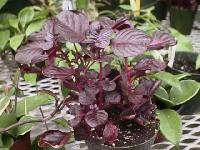 Small, branching plant with blood red foliage, grows to 24inch. Needs rich, loamy, well draining soil, and bright light with some sun. Keep soil evenly moist. Pinch tips to induce bushiness. 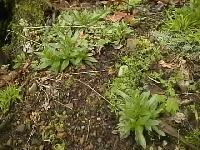 Propagate by softwood cuttings in the spring. 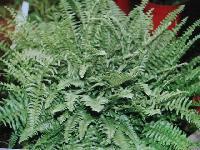 Boston Ferns like it cool, and they would be very happy to have a 60 degree room, with bright light. Since it doubtful you have a place that cool, I recommend that you keep your fern as far away from heat sources as possible, even at the sacrifice of some light. 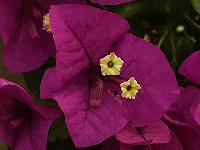 Bougainvillias produce some of the showiest display of colors of all vines. 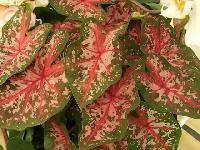 Most cultivars have an upright growth habit, but there are many shrubby varieties and creeping types as well. 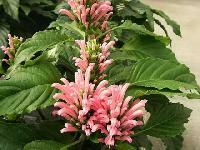 The Brazilian Plume Flower is a shade loving, tropical evergreen perennial shrub with large deep green leaves. 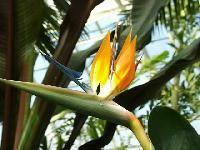 It produces a never ending show of large spikes of brightly colored, tubular flowers from spring to fall. Should be grown in a mixture of sphagnum moss, peat moss and perlite, need several hours of sun each day. Butterworts require a varying amounts of moisture, but always less when dormant. Not suitable for sealed terarriums. Frost tender perennial tubers. They like heat, plenty of moisture and humidity and bright indirect light. Plant tuber, knobby side up, 2inch below surface of rich, well draining soil. Feed every 6 weeks with a liquid 6 6 6 fertilizer. The Chilean Mitre Flower is a gorgeous creeping and climbing, plant with glossy, dark green leaves arranged in pairs along woody stems. They produce an abundance of intensely colored, scarlet orange, tubular 1 and half inch flowers with a soft, velvety texture.